The Dangers Of Using Cheap Hand Car Washes For Your Car!! The Dangers Of Using Cheap Hand Car Washes!! 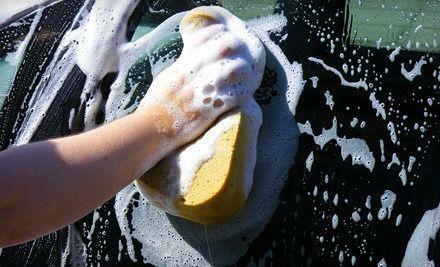 Why should I avoid using cheap hand car washes? You may have considered using the cheap hand car washes which are littered all over the UK at some point, however you should approach with caution! Good quality products don't come with dirt cheap prices, you will get what you pay for! You may want to ask if the products they use are PH Neutral before your proceed with risk. If you have ever taken the time to wash your car properly you will know how difficult it is to wash your car in 5 minutes flat! Maybe you are now wondering what witch craft they are performing in front of your very eyes or what magic products they maybe using which allows them to clean the car so quickly. I will now enlighten you and reveal that there is a very strong possibility that they are using Hydrochloric Acid, yes this will strip all the dirt of your paintwork in seconds, they probably wont even need to touch your paintwork with a sponge (or microfibre wash mitt if your lucky) as this very strong chemical will strip the skin off your fingers let alone strip the paintwork from your vehicle if your lucky. The key to a quality car shampoo formulation is the ability to be strong enough to remove most dirt, salt and contaminants from the paintwork while having the ability to be gentle enough to not remove the protective layers which you apply in the form of waxes and sealant. Our Gloss Wash Shampoo is developed with all of the characteristics of a quality car shampoo, it is PH neutral, it gently removes the dirt and grime from your vehicle, while been completely wax safe! It even adds a layer of protective wax to aid in protection for your vehicles paintwork. If you are adamant that you want someone else to wash your car for you, you should look no further than a local professional valeter or detailer. They will offer a maintenance wash at a good price with quality products, we do supply many proffesional detailers with our products, so you may be lucky enough to have our products used on your vehicle. With the majority of all car purchases been the biggest purchase you will make besides a house, it is worth protecting your investment with careful wash techniques which keep the paintwork in the best condition. 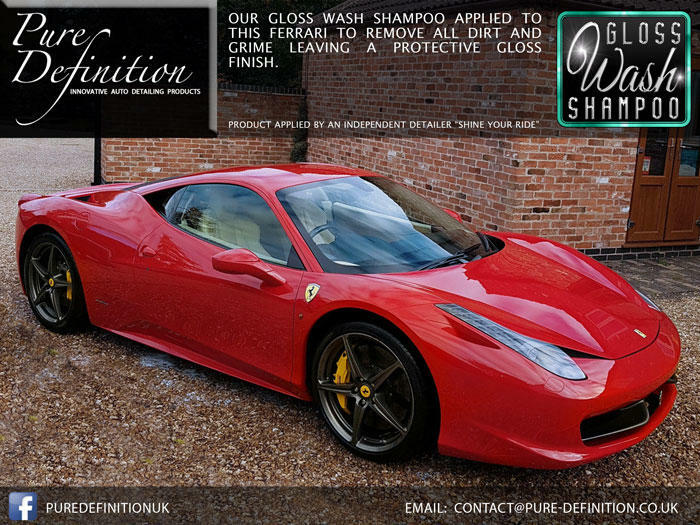 If you have any questions on this topic then please email us on contact@pure-definition.co.uk, we can even point you in the direction of our local authorised Pure Definition detailers in your area!